In our region of new and undiscovered treasures, we have a number of hidden gems for the food and wine lovers of Melbourne (and beyond). Fresh local produce has become a prominent commodity whether living an urban or regional lifestyle, and in Melbourne’s West there is an abundance of passionate workers, connoisseurs and local artisans working to procure great culinary experiences with the freshest, locally grown ingredients. 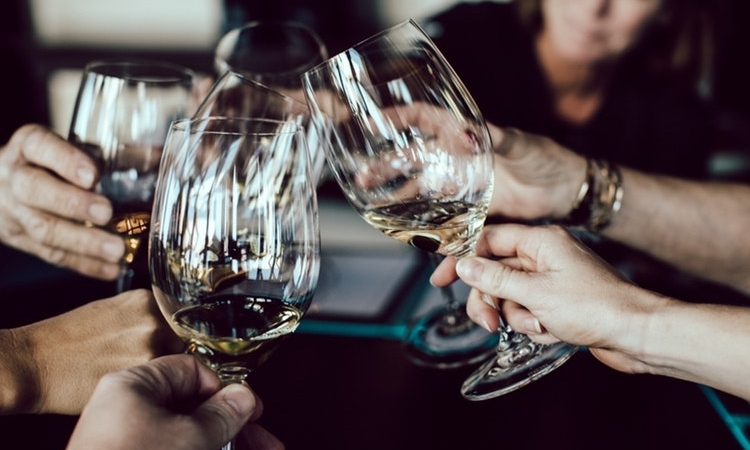 We all know that wine is loved by many in this great country and when matched with fine food, close friends and creative new tastes, long lasting memories are made! Get on board the wine discovery track in the west of Melbourne and take your friends, family, colleagues, neighbours and make up your own mind. We dare say you’ll be back several times before the year is out. 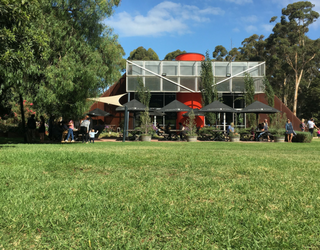 Shadowfax is a quaint, boutique winery with cellar door and restaurant located in the heart of stunning Werribee Park. 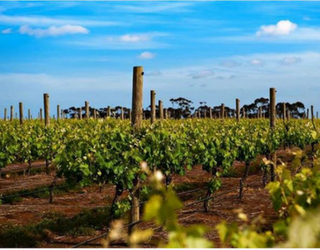 The selection of wines produced come from various locations including in Werribee, the Macedon Ranges and Port Phillip Bay. 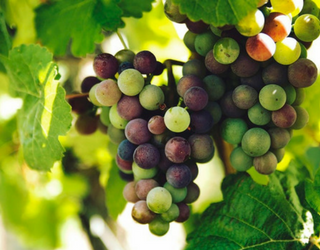 Each and every vineyard has its own distinct characteristics and produces grapes of only the highest quality. Restaurant Chef Ben D’Arcy is renowned for his love of wood fired cooking, and uses fresh local produce (including hand-picked vegetables and herbs from the kitchen garden!) to create great matches to the multiple wine options. And for the sweet tooths, the restaurant is known for having great desserts too. But where does the name Shadowfax come from? In J.R.R Tolkein’s classic, the Lord of the Rings, Shadowfax was chief among horses. It was considered that Shadowfax would be a fine symbol for the winery. Every Saturday and Sunday the venue comes alive with the relaxing sounds of local artists. Enjoy an afternoon of live music and when the sun is out picnic blankets and sunscreen are provided. In the heart of suburbia it’s perhaps a little shocking to find yourself among 5 acres of well-kept vineyards. That’s right, a wine producing vineyard in East Keilor. And the surprises don’t stop there. 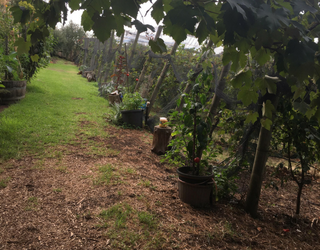 Italian family Lina and Tony, along with wine-making son Angelo, not only built from scratch their family home but a paddock full of grape vines, olive trees and a vast vegetable patch as well, from memories of their beloved home in Italy back in 1981. You can surely imagine the comments they received from neighbours in disbelief of their urban farming plans. And yet here we have an abundance of fresh grown vegetables and herbs, homemade preserves, chook eggs, pickled olives, award-winning olive oil, red and white wine as well as eating grapes, participation in cooking classes, food and wine festivals, farmers markets… is there anything this family doesn’t do? And while there is no restaurant or open and close times at the Estate, this exclusive little winery is well worth booking a private tasting and tour. There’s nothing else like intimate and authentic hospitality presented with fresh, fine flavours. Plus, you’ll be warmly welcomed with open arms. 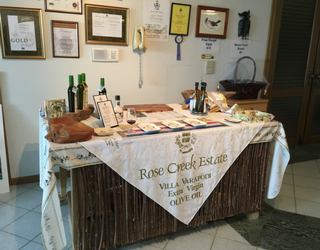 Russo Estate Winery is set upon natural rustic, unspoiled land of outback Australia yet it’s only a 30 minute drive from the city. Built around solid family values the property incorporates a winery, cellar door, function spaces and a fantastic restaurant too. And yes it is family run, so the love and passion of these proud wine makers is evident in every aspect of the entire operation. The wine itself is delicious, and not without its own intriguing background story. Famous escape artist Harry Houdini made the first controlled, powered flight of an aircraft in Australia at Plumpton Dam in Diggers Rest, Victoria on 18 March 1910. Houdini flew his Voisin biplane from a paddock over the land and gum trees where the vineyard now grows. A great venue for both large or small events. And you’ve got to love live music every Friday night and Sunday lunch for a chance to truly relax and recoup. 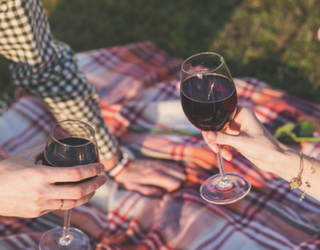 It’s free to sign up to the wine club – which is practically like joining their family. 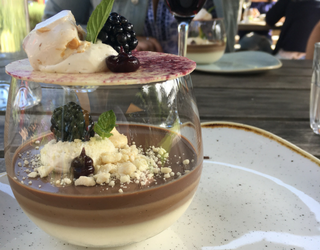 It’s well worth the short journey out to Plumpton to experience the delights of the restaurant and award-winning wines of Galli Estate Winery. Having proudly adopted principles of organic viticulture, the folk at Galli Estate set the bar as a great example of having sustainable vineyard practices. Galli Estate Winery has a striking steel arched building front with sweeping views across the vineyard and it home to one of the best restaurants in the area. During cooler months you can enjoy the warmth of the large open fire and relaxed atmosphere. 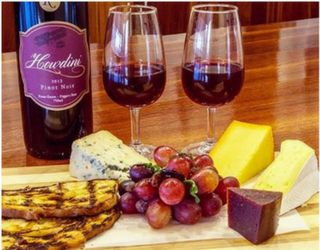 Born and bred from the dream of an Italian migrant, it’s no surprise that Witchmount Winery now produces award winning wines which are even exported internationally. A lot of heart and soul goes into the entire operation with employees giving 100% at winery, cellar door, function centre and restaurant. Renowned Avanti Restaurant will become your new favourite offering a personal touch on Italian classics.